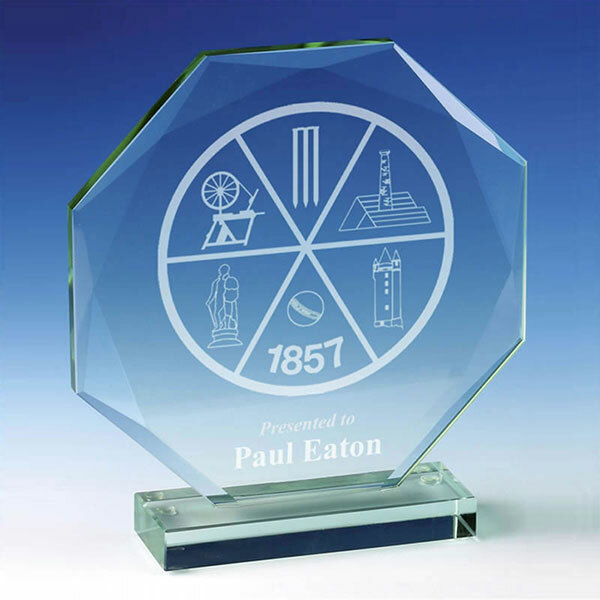 Jade crystal Diamond Edge flat glass octagonal plaque in heavyweight 18mm thick glass. 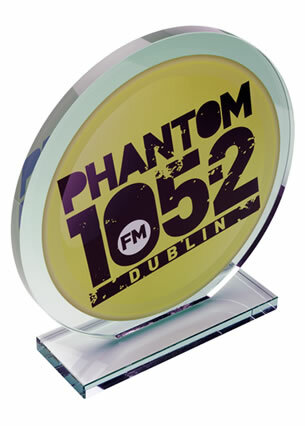 A modern achievement award standing 8in tall, offered with engraving and/or colour print options. Supplied gift boxed. 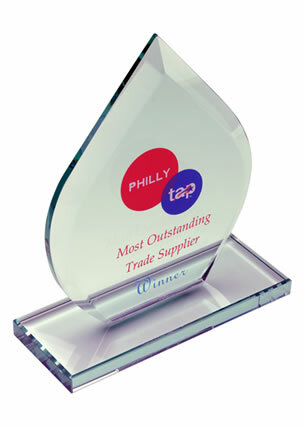 These heavyweight jade glass awards have a thickness of 18mm, giving them a feel of real quality when held. Crafted in jade glass, they feature an octagonal flat plaque with thick bevelled edges, mounted upright on a flat jade glass base. 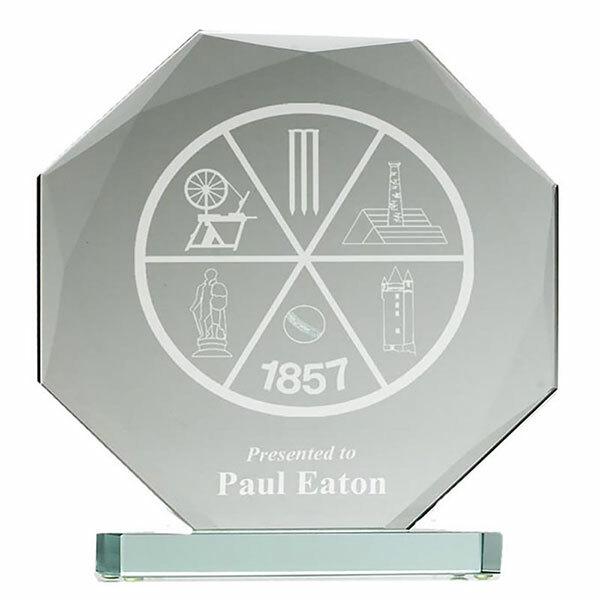 They stand 8in tall and can be customed on the flat front of the plaque by engraving and/or colour print. 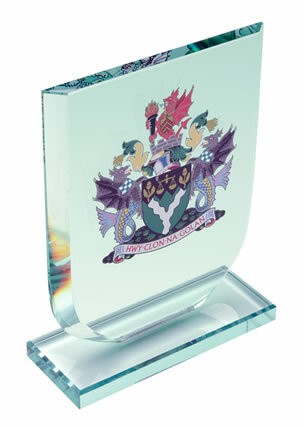 These awards are supplied gift boxed, ready for you to present at your awards ceremony.